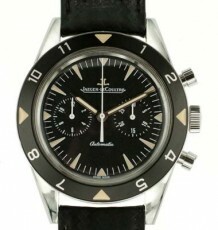 Vintage Jaeger LeCoultre bumper automatic watch with stainless steel case. 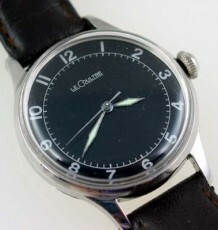 An all original example of an early automatic wristwatch, by Jaeger LeCoultre. Many watch collectors are already aware that one of the first automatic wind systems made for wrist watches involved the use of a rotating pendulum what only operated on a semi-circular arc, at the end of each swing cycle the rotor “bumped” off of a spring and traveled back in the opposite direction, thus the name, bumper automatic. 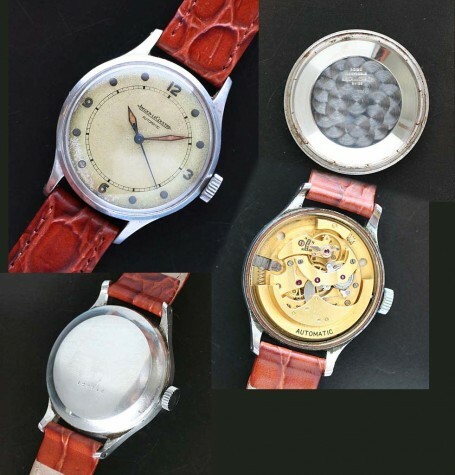 This watch features and all original dial signed Jaeger LeCoultre Automatic and has the unusual luminous dot hour markers with radium filled lance shaped hands. 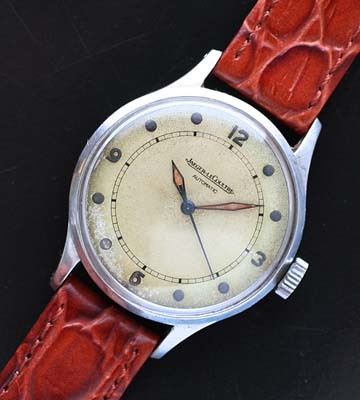 The dial shows an even aging of the lacquer covering the dial paint but as it is so even and adds to the vintage charm of the watch I have elected to keep the watch as original as possible. The 17 jewel automatic movement was just serviced by my watchmaker and is keeping great time. 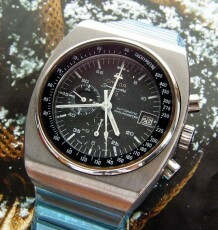 Please note the stainless steel case is signed Swiss and not USA. 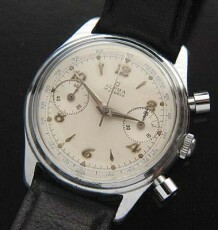 The all steel case measures 35 mm wide by 40 mm long and is supplied on a brand new leather strap.